SAGE-RI provides viewings and discussion on the documentary, Gen-Silent. 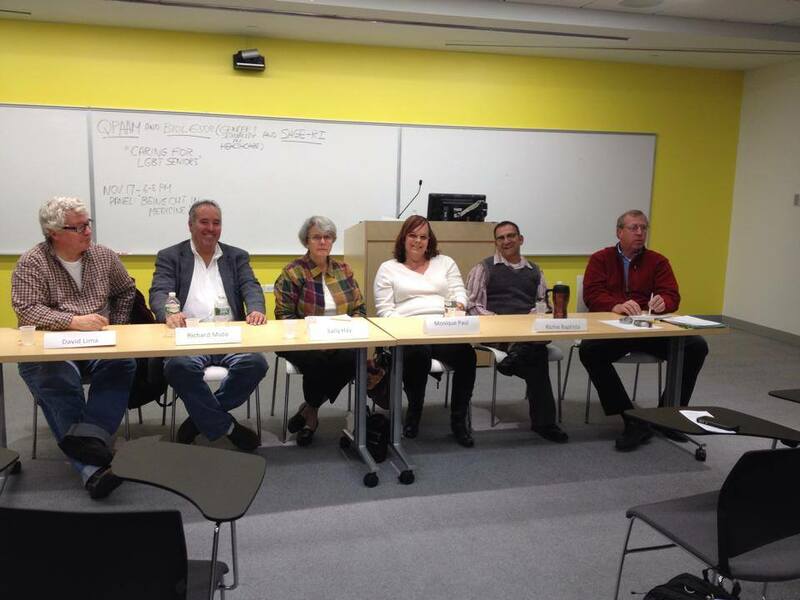 SAGE-RI planned and implemented a first-of-its-kind Elder Summit that brought together Rhode Island community leaders to discuss the needs of LGBT elders as well as possible solutions. We continually develop partnerships with educational and healthcare communities to encourage a more welcoming environment for our elders. We are a presence at numerous community festivals and health fairs including the RI Pride Festival and the Senior Expo. We influence social change by creating resources and tools that can be used by the LGBT community as well as those who support the LGBT community. SAGE-RI is a member of the Senior Agenda Coalition and the Long-Term Care Coordinating Council, making sure the voices of LGBT elders are heard. SAGE Rhode Island is committed to responding to the direct needs of its constituents by offering social events, inter-generational events, and educational and volunteering opportunities. SAGE Rhode Island will continue to work with hospitals, nursing homes, and other healthcare providers in an effort to create LGBT-friendly settings that recognize the unique needs of this group of Rhode Islanders.